Withing this blog I am going to discus the structure of companies that use creating collaboration, how they use it and the advantages of using creative collaboration along side their main companies structure. Pre-bureaucratic structures – This structure is often use in small businesses it is were there is only one person(s) in command and there are very few departments to run, they are solely responsible for delegating tasks. The task are delegated on a one to one basis, this helps the person(s) in charge to control all aspects of the business, which is what is needed for small companies to grow. 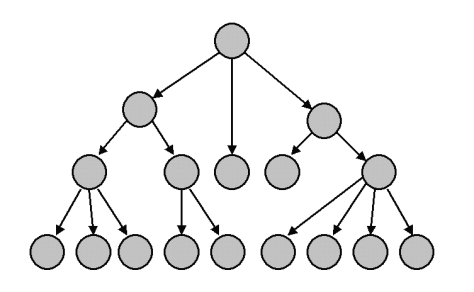 Hierarchical structure – This structure follows on from the pre-bureaucratic structure, it is a more develop structure that works in the same way but for bigger businesses with more departments. The structure has a main management with different departments, the different departments will be in charge of completing different tasks, each department will have sub departments that will be in charge on other tasks that will complate the task that the main management has assigned the main department. Matrix structure – This structure is were there will be generally a main management and all the departments are on the same level to create there out come. The hierarchical structure and the Matrix structure are the most common structures to use creative collaboration as the different department will work individually to create there own outcome. For a games companies there will be a department who make the levels, store and characters. For the character designers to be successful they will need to know more about the characters background. Final the character designers will work closely with the level designer so they can create gadgets and items for the character to use within the level. Collaboration often doesn’t have to be a company sitting at a desk working out how to create something new, ofter company developer previous ideas. Take video for example someone invented the photograph, another person discovered the use of animation with drawing then a third person used these ideas to create the modern day video, this is also collaboration. (Group Genius, Keith Sawyer). As we are can see creative collaboration allows the development of products to ether combined them or to improve them, but collaboration does not always start with companies coming up with ideas and seeing if they will sell, many companies allow they user to to give feed back or or allow the user to be able to develop there product so they are able to see the next trends that they will be able to create to make money out of.